Share your fun literary facts about the town or area where you live. You can talk about famous (or not so famous) authors who live there, novels that have been set in your area, or any other literary facts that you know about where you live. Feel free to embellish with pictures of places and/or authors, maps of the area, and fun facts about the authors. Today, I won’t talk about where I currently live, Jacksonville, FL, I’m going to talk about my hometown, Birmingham, AL. I was born in Birmingham in 1974 and lived there until I was 31 years old when I had to move for a job. But I plan on going back to live there someday. Anywho, we do actually have a famous author that was born and still lives in Birmingham (at least part time). She is Fannie Flagg, author of Fried Green Tomatoes at the Whistle Stop Cafe. I read this book while in college and it’s very entertaining. There is a lot in it that is not reflected in the movie (like a highly pro-lesbianism theme that is only hinted at in the movie). Not only is author Fannie Flagg from Birmingham, but the book is partly set in Birmingham (and partly set in fictional Whistle Stop, Alabama). 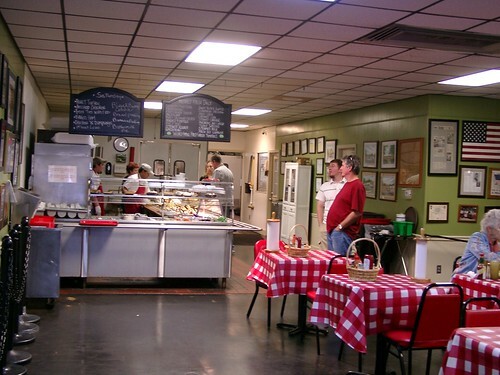 The Whistle Stop Cafe, one of the main locations in the book, is based on a small cafe in Irondale, just outside of Birmingham. 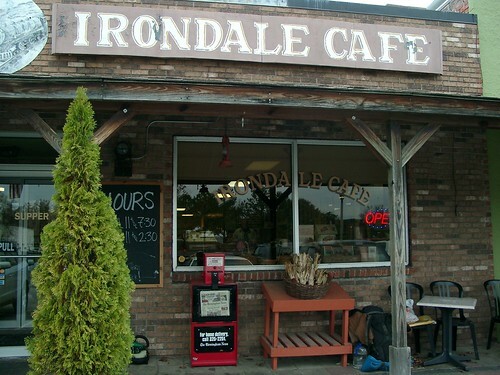 It’s, not surprisingly, called the Irondale Cafe. And yes, they do, in fact, serve fried green tomatoes. I ate there several times while I lived in Birmingham. Many people may be more familiar with the movie version of this cafe. 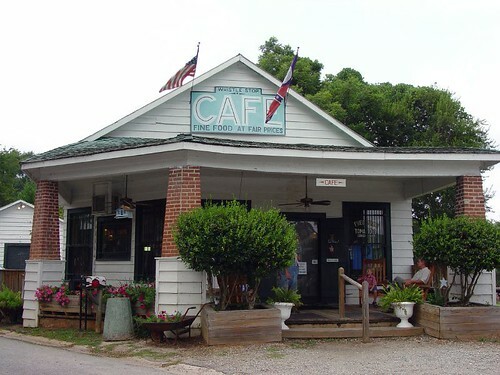 Unfortunately, for the movie, they actually used a restaurant in Juliette, GA to represent the Irondale Cafe. And it now also sells fried green tomatoes and southern food to tourists. However, it is not the real Whistle Stop Cafe. The only other book I can think of that is set in Birmingham, AL is Letter From a Birmingham Jail by Martin Luther King, Jr. This was an open letter by Dr King to several Alabama clergymen written while in jail after being arrested during a non-violent protest in downtown Birmingham. It includes some of his more famous thoughts on segregation and injustice. 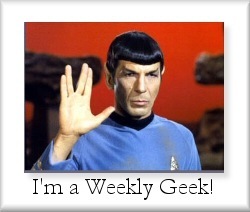 This entry was posted on May 18, 2009 at 11:06 am and is filed under books, Weekly Geeks with tags Alabama, books, Fannie Flag, Fried Green Tomatoes, Irondale Cafe, movies, Weekly Geeks. You can follow any responses to this entry through the RSS 2.0 feed. You can leave a response, or trackback from your own site. I’ve seen the movie but not read the Fried Green Tomatoes book. I had no idea about the Dr King book _ thanks. great post. I liked the film Fried Green Tomatoes, but havent read the book.